Superb gift for any olive lover. We have selected all the best trimmings to make for the perfect flavour experience. 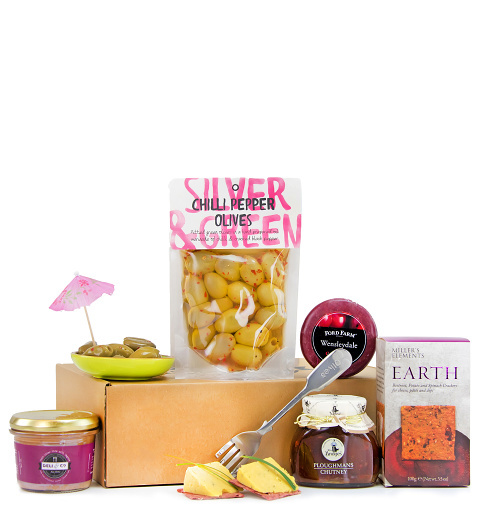 With crackers, chutney, and liver pate, this gift box is a scrumptious delight perfect for all occasions.